The survey revealed that consumers overestimate the down payment funds needed to qualify for a home loan. 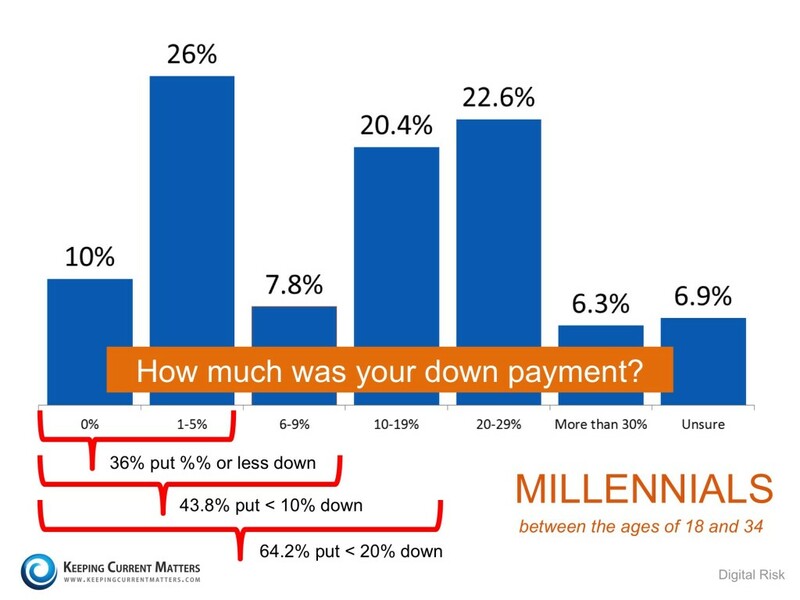 According to the report, 36% think a 20% down payment is always required. In actuality, there are many loans written with a down payment of 5% or less. Below are the results of a Digital Risk survey done on millennials who recently purchased a home. The Ipsos survey also reported that two-thirds of the respondents believe they need a very good credit score to buy a home, with 45 percent thinking a “good credit score” is over 780. 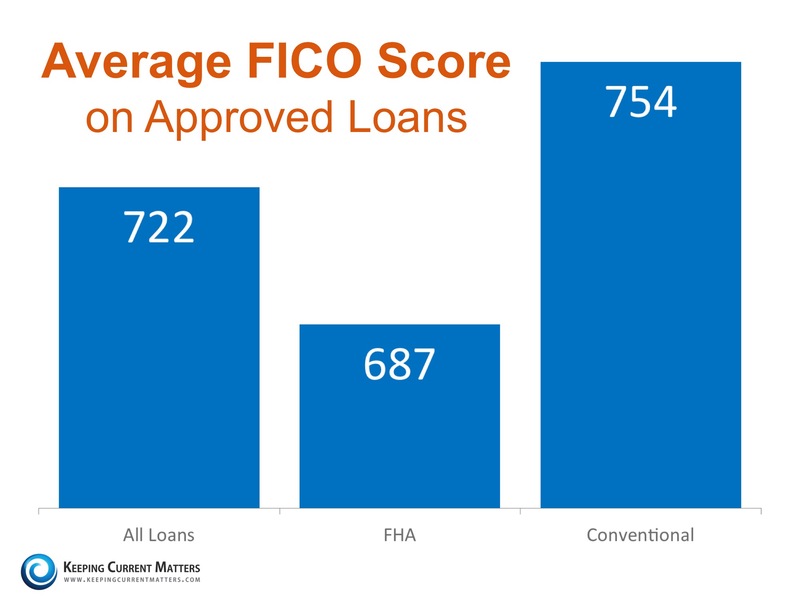 In actuality, the average FICO scores of approved conventional and FHA mortgages are much lower. Below are the numbers from the latest Ellie Mae report.